« Microsoft et le cloud ? Jusqu’ou aller ? After virtualization for professionals and Live services for consumers, the cloud seems to be the new emerging target for Microsoft. The cloud is not really new, just a generic word for services over the network. Which services can be on the cloud yet : 3 different kind of services : applications, services and platforms. AaaS : Application as a service is easy to understand and not new : a supplier offer a rented application over the network (often internet, but it can be a private network). SaaS : often in complement with the application the supplier can also supply services. For exemple the company providing salaries software can offer updates, legal adjustments, printing of salaries paper and also bank transfers. PaaS : Platform as a service is a more general service where the customer can use a dedicated or shared platform (hardware, OS, and other libraries or hosting applications) for it’s own services. Internet is now a solid pillow for linking customers and solution providers. users and customers seems to be more ready for it (even sometimes without really be aware of the cloud usage). Quality of Service contracts are now common and defined in very exhaustive service level agreements (SLAs). Microsoft is not a leader and other companies have offered cloud services before. Even if Bill Gates have talked about cloud services long time ago, Microsoft have taken the cloud direction very recently, but very quickly. It seems that all Microsoft divisions are now somewhere working with or for cloud solutions for companies and consumers. Windows Azure is the Microsoft solution for PaaS : Azure is a special Windows OS which allow hosting for .NET applications, SQL databases and even Virtual machines. Windows Intune is the new security management solution from Microsoft for small and medium companies: it allow to manage computers, antivirus, updates and inventory from the cloud. Microsoft Atlanta is the codename for a new cloud based application created for monitorin g SQL Server (for the moment?) . Microsoft Business Productivity Online Standard Suite (BPOS) was the first solution offering an Exchange and Sharepoint hosted solution for a very competitive cost. Dynamix CRM Online is the latest release of the Microsoft CRM, this application can be run locally but also on the cloud, as a rented service. 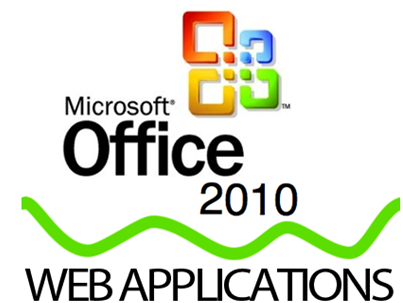 Office Web App : This is the online version of Office. This idea is in Microsoft’s mind since 10 years but Google apps make the decision to release them easyer. Basically it’s a light version of Microsoft Office applications (Excel, Word, PowerPoint) that you can run from Internet from any computer. Microsoft implemented it in it’s Live tools (SkyDrive, Hotmail,…) so you can work on a Office document without the need for having Office installed on your computer (or phone). Hotmail : the mail application from Microsoft has been widely improved end of 2010 and the storage and functionality are using the cloud template for Microsoft : easyly managed, improved and increased, in order to offer a good hosting to it’s more than 360 milions of users. Live Messenger is also using the cloud model for it’s services (chat, file sharing, social network, …). 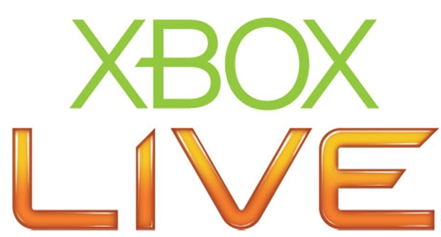 Xbox 360 live services are also using cloud services, for storing gamer profiles, scores and small games. Windows Phone 7 is also using the cloud for geolocation services, backup, storing photos and documents on SkyDrive…. So you can see that the cloud revolution is not an “hype” or a very new idea, finally, more an evolution. Should companies “jump” into the cloud ? The question is probably more when and at what level… All companies are now linked to Internet so are using Internet services, but using non internet usual services in the cloud is less common. Cloud give to companies lot of benefits: predictable costs, location and device independance, reliability and scalability, security, low maintenance needs and improved management. But it also create new problems: dependancy with Internet (reliability, security), dependancy with suppliers (it’s not so easy to change of clouded supplier), security and confidentiality : the cloud is using good security concepts but knowing that data is not internal is sometimes difficult for management to imagine. Major companies are already adopting cloud solutions and it seems that Microsoft mainly think to them, but small and medium can really win a lot using cloud : il will allow them to use very professional corporate solution at a reduced cost, and without big IT knowledge (I didn’t said without any knowledge). The cloud’s innovations are now available in much software and platform thus companies are now able to use these solutions internally, making their own private cloud. So the cloud is the word used for actual IT trends and innovations : services, flexibility and scalability acros Internet.